I remember spending a fair bit of time in the NYC subway shooting passers by at shutter speeds of around 1/10s or 1/15s. You get a lot of blurry shots, but when you manage to stay steady, you capture some of the motion. With a wider angle lens (a 28mm in this case) it’s a bit easier and I find that at 1/15s I can more or less consistently shoot a sharp shot. 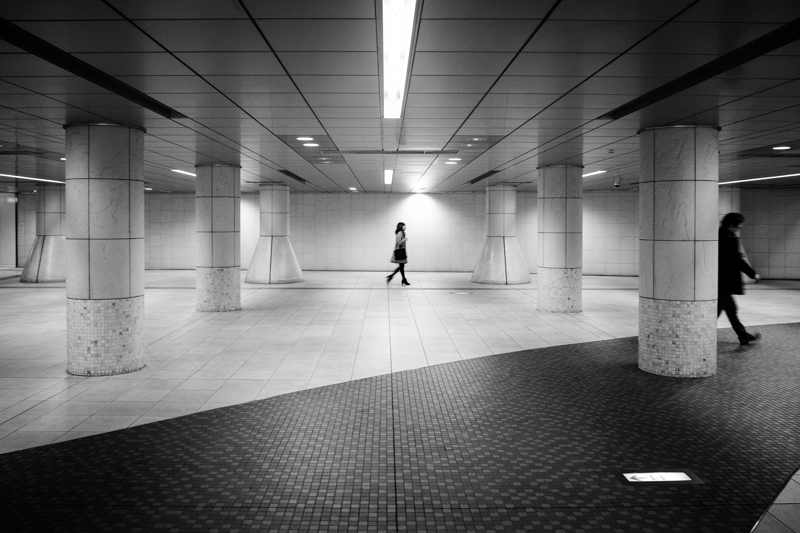 I liked those columns and the contrast produced by the black band of tiling, that’s why I chose this Tokyo underground spot.